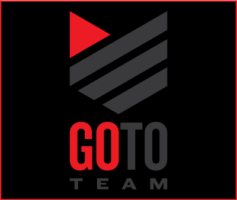 Go To Team Elite Camera Crew & Video Production Crew | Talk About Frequent Flier Miles! Go To Team’s Skip Clark and Rene Cusson had a busy weekend. Traveling with the Panasonic Varicam, they left their home city of Charlotte, North Carolina, on Thursday and traveled to three states in three days! They covered more than 4130 miles by jet, helicopter, and car to follow NASCAR’s Kyle Busch as he went to Dallas-Fort Worth, Nashville, and Pocono, PA, to race in all three of NASCAR’s racing series. 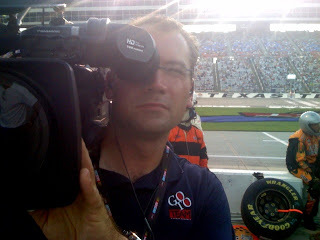 Working with producer Pam Surbaugh and TNT talent Ralph Sheheen, the EFP crew produced a feature that aired in TNT’s pre-race show on Sunday. No one had attempted to race in all three series in three different cities until this weekend. “It was a well planned out strategy. The jets were on time, there was a helicopter waiting at every stop, and there was always food,” is how Skip summed it all up. Nothing was left out from the plan. And that was just Busch’s entourage. TNT’s Production Coordinator Kristin Mosher worked with Pam to keep the crew m oving, even arranging at the last minute (they were literally on the plane as plans changed) to have a chopper waiting for them in Texas! 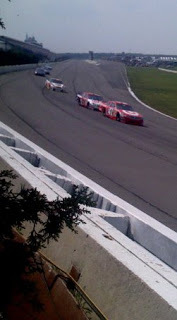 Without them there would have been no way Skip and Rene could have kept up with Busch. 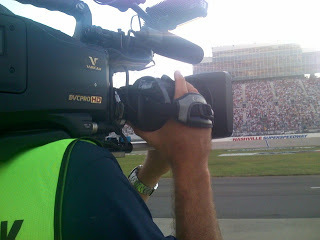 Keep watching TNT’s pre-race shows the rest of the season as Go To Team crews are there; the Clark crew continues to travel on the NASCAR circuit while Charlotte’s David Baker and Raleigh’s Jimmy Hall are picking up shoots in North Carolina.